Riffing on Jeff Koons's infamous sculpture Michael Jackson and Bubbles (1988), this work by Paul McCarthy explodes all sense of decorum to call out the potential valences of meaning available in the late pop icon's image. 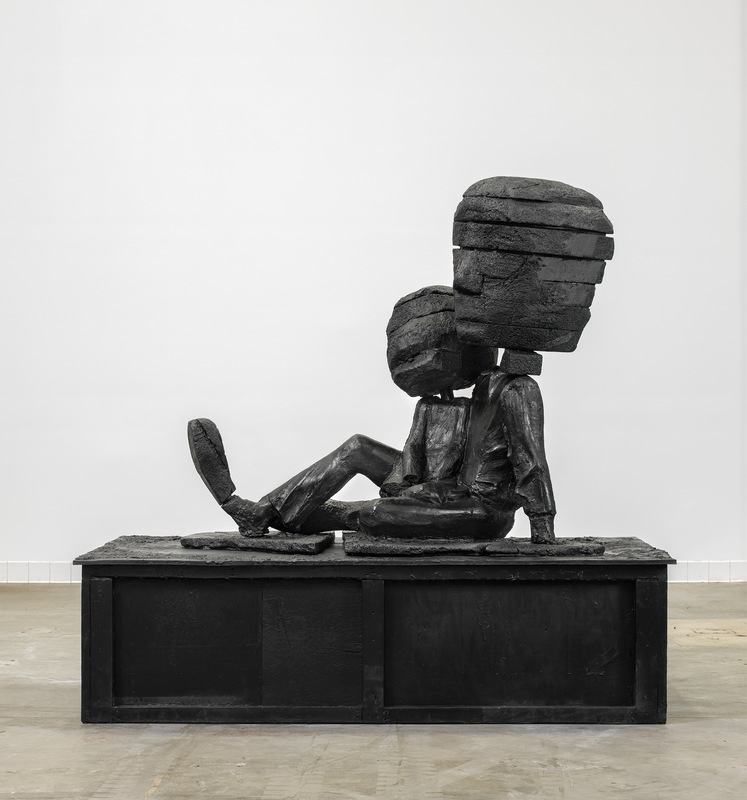 Like most of McCarthy's works the sculpture derives its unsettling power from a layering of references that draw us in and implicate us as consumers and voyeurs. Appropriating an already appropriated form, which was itself inspired by an existing image (Koons's appropriation of Jackson with his monkey having been borrowed from a press image), McCarthy enacts a near dizzying spiral of quotation and further manipulates the figures into nearly grotesque representations. "Michael Jackson Fucked Up Big Head Big Foot (MJFUBH)." Take It or Leave It: Institution, Image, Ideology Digital Archive. Los Angeles: Hammer Museum, 2017. https://​hammer.ucla.edu/​take-it-or-leave-it/​art/​michael-jackson-fucked-up-big-head-big-foot-mjfubh/​.